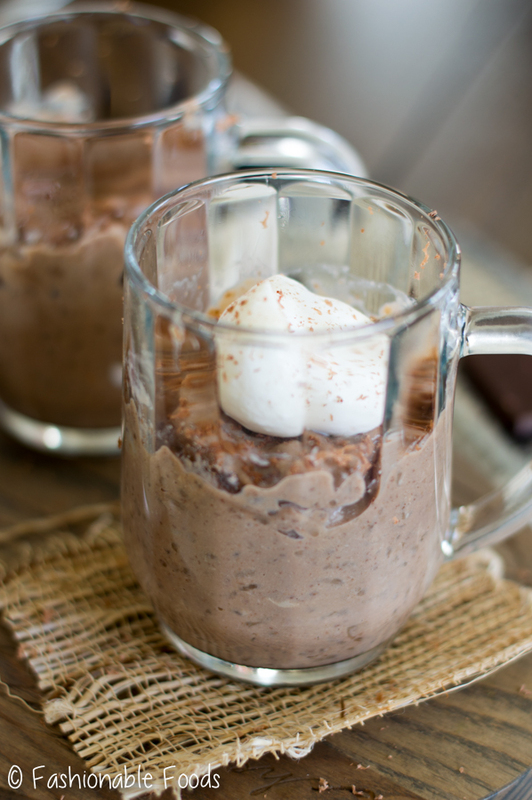 Curl up with a comforting coffee-flavored dessert! 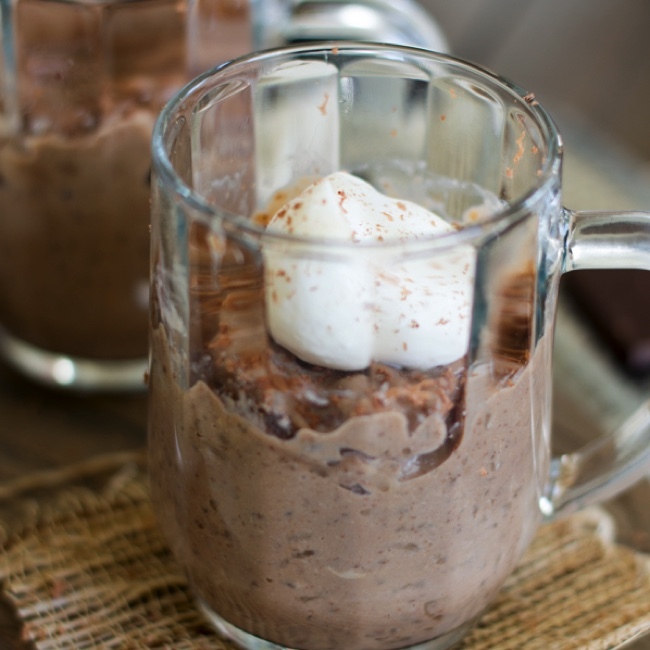 This mocha rice pudding combines two of my favorite flavors: coffee and chocolate. It’s the perfect sweet indulgence for the holiday season! Welcome to a new week, friends! Have you recovered from Thanksgiving yet? Or shopping, if you went? I’m still trying to recover from all that Thanksgiving food. So.Much.Food. As for shopping, I prefer doing my Christmas shopping in my PJ’s behind a computer screen, therefore cyber Monday is much more my style. ? 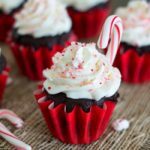 I’m now in full holiday mode – the house is decorated and all of my time is now dedicated to holiday recipes. I kicked things off on Friday with a tasty cupcake recipe and now I’m moving on to rice pudding! Rice pudding is often overlooked, in my opinion. It really shouldn’t be, though! It’s creamy and comforting and can take on so many different flavors. 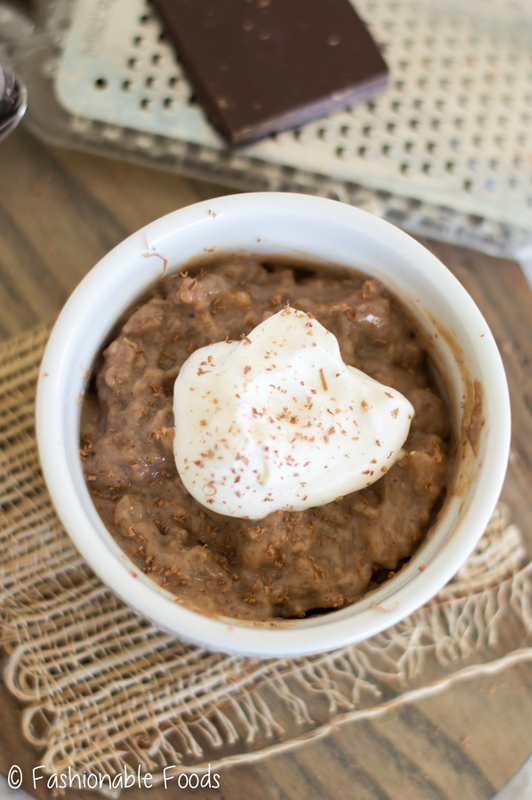 I’ve taken a classic rice pudding and added two of my absolute favorites: coffee and chocolate. 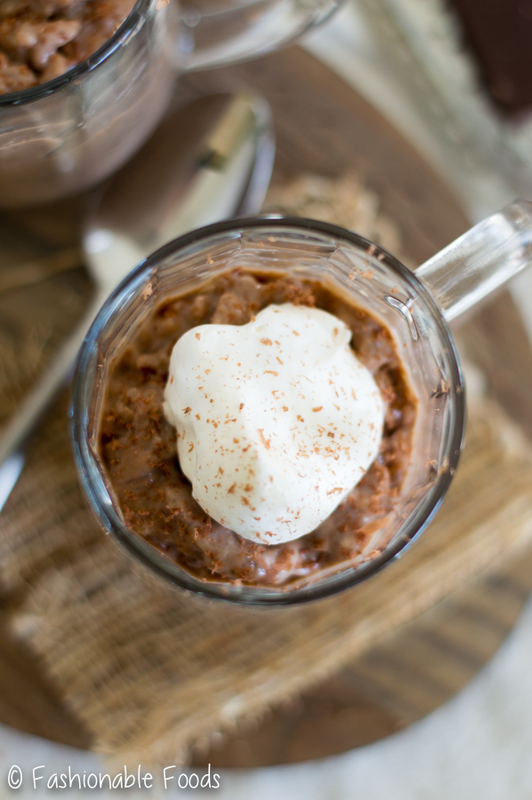 Mocha rice pudding is the perfect treat for all of my fellow coffee lovers! While stocking up on all of my holiday essentials at Target, I made sure to also pick up a variety of Dunkin’ Donuts® coffees and creamers. 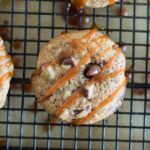 Not only do I need options for my daily cup of joe, but for incorporating into desserts, too! For this fun take on rice pudding, I used the Dunkin’ Donuts® Bakery Series Chocolate Glazed Donut variety. 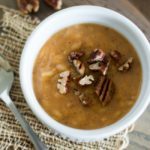 It smells HEAVENLY while it’s brewing and adds even more chocolatey flavor to the mocha rice pudding. However, if you don’t have a traditional coffee maker, you can grab a box of the Original Blend K-Cups! I keep both on hand because we have both a Keurig and a traditional coffee maker. Yeah, we are total coffee addicts in this house. ? Making rice pudding is really simple and only requires a few ingredients. Medium grain rice and milk are the main components. A good rule of thumb is 4 cups of milk per half a cup of medium grain rice. For this mocha version, I replace one cup of the milk for a cup of coffee. Combine your rice, milk, and coffee in a pot and bring it to a boil. Reduce the heat and let it simmer for 15 minutes. Then, once the rice is plump and tender, add in egg yolks, sugar, cocoa powder, and vanilla extract. It only takes a minute or so to incorporate everything and you’ll see the pudding thicken perfectly. Divide it evenly among your desired serving dishes (I like coffee mugs or ramekins!) to cool and set up. Next comes the hard part: chilling. I hate waiting! But, I think rice pudding is best when it’s nice and cold, so make sure you let it chill in the refrigerator for about two hours. 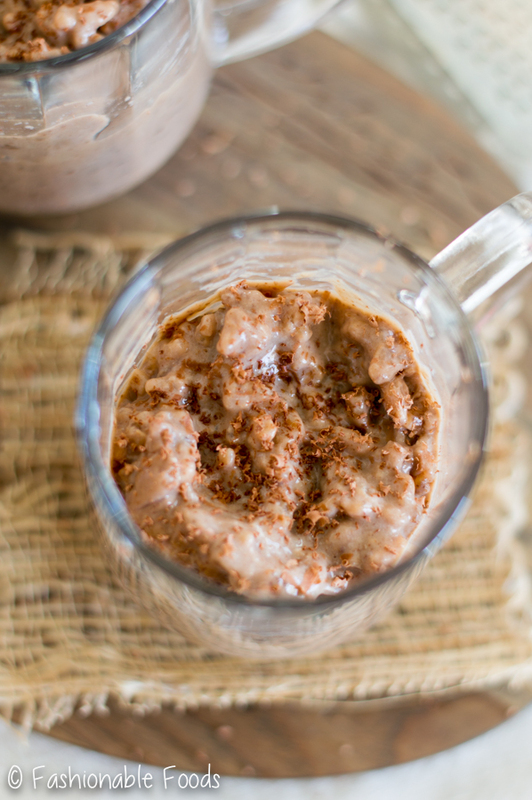 I just love serving the mocha rice pudding in coffee mugs; it makes such a pretty presentation! Topping it off with a dollop of whipped cream and grated chocolate is the perfect finishing touch. However, it’s also good without toppings, if you’re feeling lazy. ? Now that we discussed dessert, let’s talk about another one of my favorite ways to enjoy my coffee. With the chilly weather and the holidays upon us, one of my favorite ways to relax on the weekends is with a little coffee bar. Kyle and I love mixing things up and treating ourselves with things like whipped cream, candy canes, and shaved chocolate. Kyle has been loving the Dunkin Donuts® Chocolate Glazed Donut coffee with a splash of their Extra Extra creamer and a dollop of whipped cream, of course. 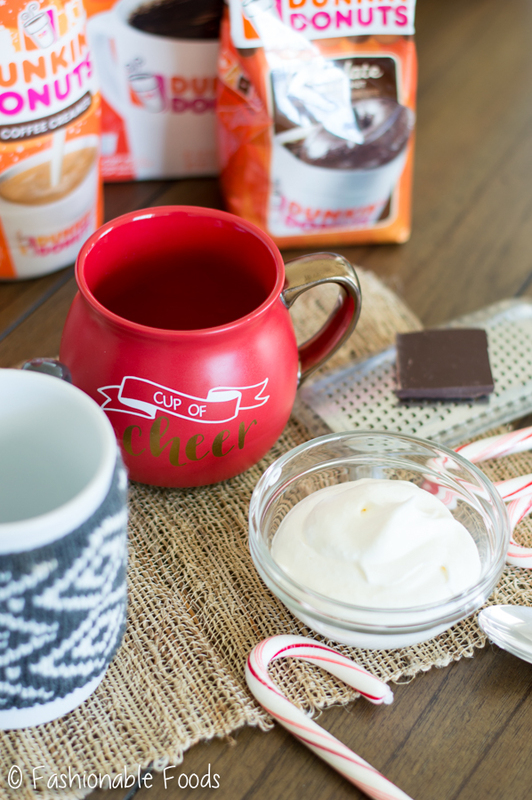 I stick with their Original Blend K-Cups and add Silk® Almond Vanilla Creamer.. and whipped cream…and shaved chocolate…and a candy cane for stirring. ? What can I say? I love it all! Plus, the holiday season gives me an excuse to indulge. Right? Oh, and if you’re wondering where those adorable mugs are from, they are from Target (obviously)! I pretty much buy a new mug every time I step foot into that store. Which is at least once a week. ? Combine the whole milk, coffee, and rice into a medium-large pot. Bring the mixture to a boil, give it a good stir, and then reduce the heat to low. Cover and then simmer for 15 minutes. Remove the lid and continue cooking until the rice has plumped up and is tender, about 3-5 minutes. 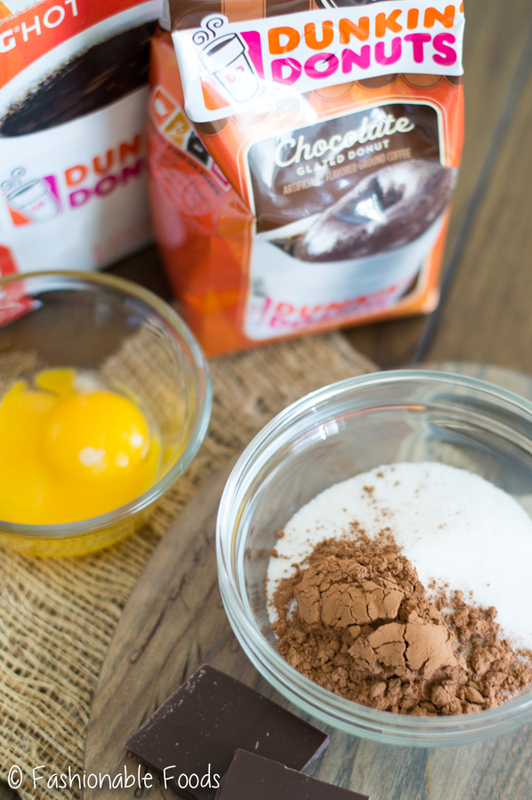 In a bowl, whisk the egg yolks with the cocoa powder, sugar, and vanilla extract. Add a scoop of the hot rice pudding and stir vigorously to temper the egg yolks. Pour the mixture back into the pot and stir to combine. Continue cooking for another minute or so, just until the pudding thickens up and everything is mixed together. Spoon the rice pudding into your desired serving dishes and cool before refrigerating to chill completely. Serve the rice pudding cold topped with whipped cream and grated chocolate, if desired. 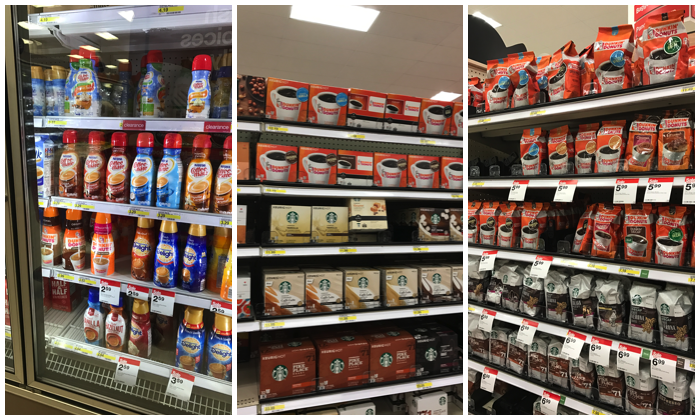 Get more inspiration for your holiday coffee here and be sure and head to Target for all of your coffee and holiday needs! 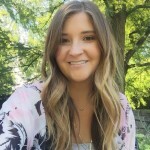 You can Save 5% on Dunkin’ Donuts Coffee with this Cartwheel offer and another 5% on a variety of coffee creamers with this offer! And, don’t forget about Target’s Market Pantry brand for all of your grocery needs! You can usually always find a good Cartwheel offer, too. ? I’m still trying to recover from ALL THE FOOD, too! So much eating and I’m ready to get back on track! This rice pudding looks delicious, Keri! I’ve never had a flavored version before, so I’m loving the mocha flavor. How fun for the holidays! If Thanksgiving is any indicator of how this holiday season is going to go, I’m going to need a major detox for the new year! ?Thanks, Gayle – I’m loving flavored rice puddings lately! I’m with you on the shopping. I much prefer the online kind in the comfort of my jammies. You can’t go wrong with a coffee and mocha combo! This rice pudding looks perfect for shopping in the comfort of your home! The only problem with me and online shopping is that I tend to spend more money! 😉 Thanks, Rachelle! Glad you had a great Thanksgiving filled with multiple food comas!! Now that’s how you do Thanksgiving!! As you know, mine was pretty quiet! 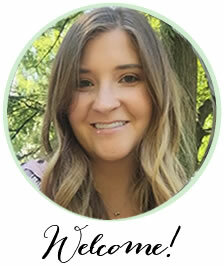 I’m toooootally with you on online shopping! I just can’t do crowds. ICK! I love this rice puding, Keri!! My dad was a huge fan of the stuff, so I can’t help but think of him whenever I see it. I know he’d love this version!! I mean, coffee and chocolate? Heaven!! Cheers!! Glad you had a great Thanksgiving, Keri. What an appetizing combo of mocha and rice pudding, Keri. Rice pudding is my all time favourite…and also love mocha! Lovely share, Keri. Can’t wait to try. Does anyone know how much this recipe makes?? It says “serves 6” but it doesn’t say what the serving size is! Trying to make for a crowd! Thanks!